Accommodation : 25 guest rooms.24 Hours Room Service . 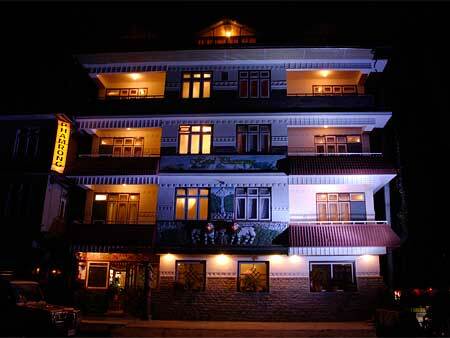 Address : Hotel Phamrong, Upper Pelling, West Sikkim (pemayangste). Hotel Location: Hotel Phamrong is located a top a quite ridge, from where once can see tiny hamlets dotting the tranquil scenery. The landscape is dominated by a panoramic view of the majestic Mt. Khangchenzonga, Sikkim's guardian diety. Hotel Phamrong Hotel Phamrong beckons you to an unforgettable experience, amidst and exceptional blend of traditional and modern comforts.The villages of "Chom-phung" and "Singyang" which lie in an eternal time-warp, gently curving down towards the "Rimbi" river from the Hotel Phamrong.